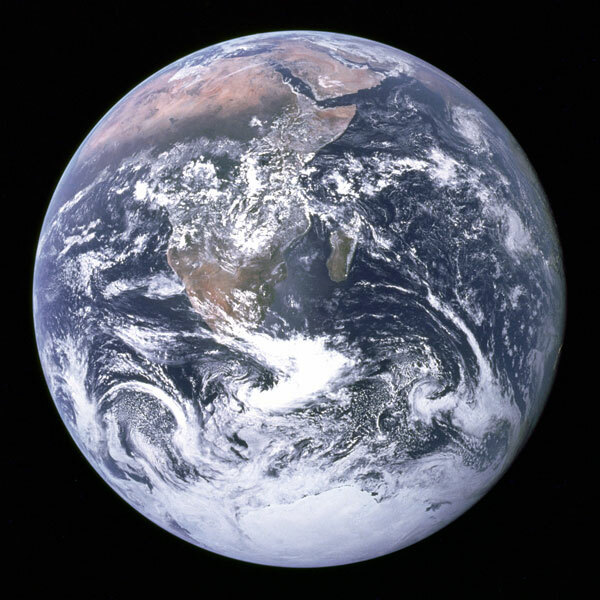 This image of Earth from NASA Astronomy Picture of the Day, March 25 2007. Taken by Apollo 17 crew back in the 1970s. Yesterday, I had a picture of the Sun. Also from NASA. They've got a lot of good stuff. I'm going to an Earth Day dance.